The outlets have over 120 brand name and designer stores. From fashions for the entire family to accessories, footwear, gifts and more, you’re sure to find great deals. Surprises and savings are hidden around every corner, and you will find unmatched bargains everywhere you turn. Be sure to check out our website for a full list of stores and restaurants and to be up-to-date on the latest deals. We are open 9am-9pm on M-Sat and 10am-7pm on Sun. Shop Outlets. 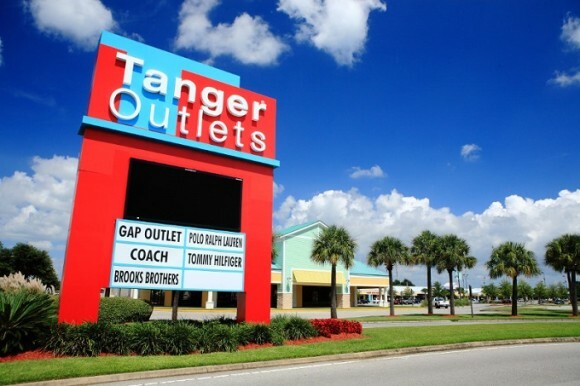 Shop Tanger Outlets.